Why Hahnemann did not repeat medicines when they acted. Aphorism 245 and 246 of the 5th edition were combined in the 6th edition to make clear the following principle. Every perceptibly progressive and strikingly increasing amelioration during treatment is a condition which, as long as it lasts, completely precludes every repetition of the administration of any medicine whatsoever, because all the good the medicine taken continues to effect is now hastening towards its completion. This is not infrequently the cause in acute diseases, but in more chronic diseases, on the other hand, a single dose of an appropriately selected homoeopathic remedy will at times complete even with but slowly progressive improvement and give the help which such a remedy in such a case can accomplish naturally within 40, 50, 60, 100 days. This is, however, but rarely the case; and besides, it must be a matter of great importance to the physician as well as to the patient that were it possible, this period should be diminished to one-half, one-quarter, and even still less, so that a much more rapid cure might be obtained. And this may be very happily affected, as recent and oft-repeated observations have taught me under the following conditions: firstly, if the medicine selected with the utmost care was perfectly homoeopathic; secondly, if it is highly potentized, dissolved in water and given in proper small dose that experience has taught as the most suitable in definite intervals for the quickest accomplishment of the cure but with the precaution, that the degree of every dose deviate somewhat from the preceding and following in order that the vital principle which is to be altered to a similar medicinal disease be not aroused to untoward reactions and revolt as is always the case1 with unmodified and especially rapidly repeated doses. Hahnemann first says that any noticeably progressing and strikingly increasing improvement during treatment excludes the repetition of the remedy because the cure is already hastening to take place. This means that any time a single dose, or a series of doses, causes a strikingly progressive improvement any repetition is counter indicated for the time being. This is because the vital force is moving toward the cure at a maximum rate and any more doses will only slow down the cure. Then the Founder takes up the subject when a single dose only causes a “slow, continuous improvement” that may take over 50, 60, or 100 days to complete the cure. In these cases the split-dose of the medicinal solution may speed the cure to 1/2,1/4, or less the time it takes the single static dry dose. This goal may be accomplished under five conditions. The remedy must be a true homoeopathic simillimum. The remedy should be administered in medicinal solution. It must be administered in the smallest of doses. The medicinal solution should be repeated at suitable intervals. Each dose should be succussed prior to administering the dose. This is the basis of Hahnemann’s advanced posology that teaches the practitioner when to wait and watch as well as when to act according to circumstances. This is what Hahnemann called the middle path approach to posology. Homoeopathy is a system of flexible response in which the methods of adjusting the dose are central to case management. The LMs act smoothly for their remedial powers considering their potency actions. For this reason, the LMs are far more suitable than the 200c and 1M for a good number of patients. The large gaps between the 30c, 200c, 1M and 10M Centesimal are too large for many constitutions and chronic conditions. This Kentian system only offers 7 potencies while there are 30 different micro tonal LM potencies. These individuals usually do very well on the LMs when they are given properly. If they take 200c or 1M (esp. the dry dose) it causes unproductive aggravations and accessory symptoms. These are some of the differences. The LMs are safe and effective when the potency, succussions, and dose are individualized and the patient is not over-medicated. By carefully reading the 6th Organon and the Paris casebooks much more information has come to light. This situation is finally starting to change as homoeopaths experienced in the 4th Organon method take up experiments with the revisions introduced in 5th (1833) and 6th editions (1842). The method of the Organon is an artistic method that must be individualized to the patient. There are no preconceived schedules that can guide one. The daily dose or alternate day dose may be correct for one person while one dose a week, month or year is sufficient in another. Any time one gives too many doses one sees the side-effects of over medication. What a homoeopath learns is when to wait and watch as well as when to act to speed the cure. Its a hard lesson to learn. Not only for the patient but also for the practitioner. I am not proud to admit that some of my failures in treatment have been because of not understanding WHY Hahnemann wrote to not repeat the medicine whilst improvement was happening in a patient. In my mind, repeating the dose would speed along the process and so in the early days I would re prescribe when improvement was slowing down rather than having stopped. Here is what we sometime forget, or in many cases, do not know. NO MEDICINE CURES. Once we grasp this simple fact and fully take this on board, we can begin to understand the process of what happens when we prescribe for a patient. It is the immune system of the patient that cures. In doing this for each expression of the disease, NOT the preferences or personality of the patient, we begin to see HOW the disease is reflected individually in the patient. With this knowledge, we look for a well proven homoeopathic medicine that has the ability to create a similar set of symptoms, in effect produce an (increased) state of DIS-ease in a healthy person. In administering a medicine of similarity, what we are doing is amplifying what we consider the key symptoms or centre of the disease, and thus making the immune response ´focus´more intensely on dealing with this stronger disease state. At this point we have modified the immune response to a singular assault on the strongest presenting problem, be it artificially induced, we observe changes in the economy as the process of removing the disease begins. Given that we do NOT know HOW the immune system will work or what it needs to clear first, we need to ALLOW the process to work to completion, or as Hahnemann states, we will ruin the case. In chronic cases, it took a long time for the patient to develop symptoms to the point where they are in the grip of a disease. Each part of the disease process followed another part and laid an extra layer of pathology until the presenting state is before you. We can only remove from the presenting symptoms with the newest symptoms taking precedence. In this way we hope to remove the disease state slowly back to the core issue layer by layer… the reality is that we do not know which symptoms are tied in to the underneath problem, and therefore might require time and various potencies of the same medicine to work We also do not know HOW it will work or when. What we do know is that as long as the patient is responding to the remedy, no matter how slowly is that the immune response is working. I find that I am reluctant to interfere with that process simply because my experience of working with LM or Q potencies shows me that over medicating can cause problems for an already weakened immune system. 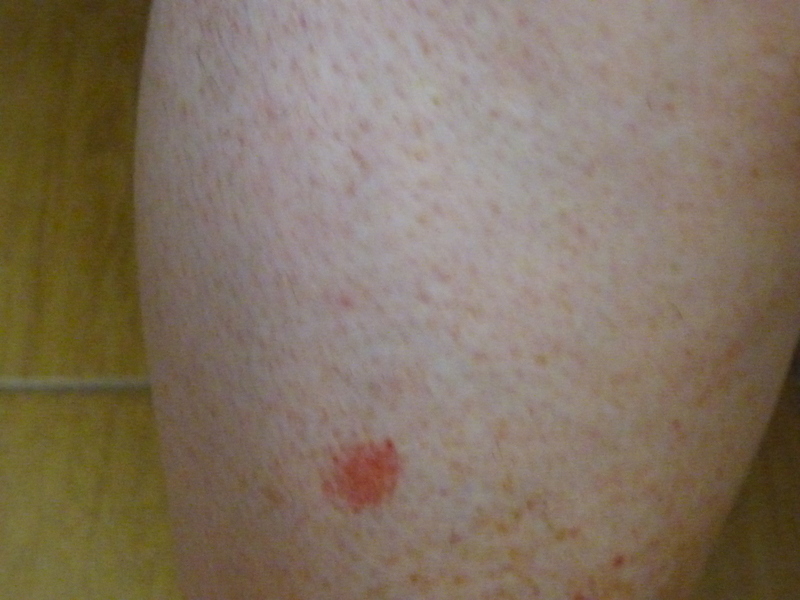 Male, late 50s presented with skin eruption on lower limbs of both legs. Hot red and flaking. Started interior side of right lower leg and round spots developed on anterior side of lower limbs growing to same size as original area. Itching, red flaking. The eruptions then started on the left leg mirroring the right left from starting on the inside and then going to the outside of the leg. Based on the prescribing symptoms.. Sulphur 200c was given in water, 2 doses 5 hours apart. (due to initial dose manufacturer doubts over the medicines viabilty. )The patient reported tiredness and increase in itching a week later. By the end of 4 weeks, the redness had disappeared, the flaking stopped and the eruptions shrinking. Although the tiredness continued, the medicine was allowed to work for 2 months. 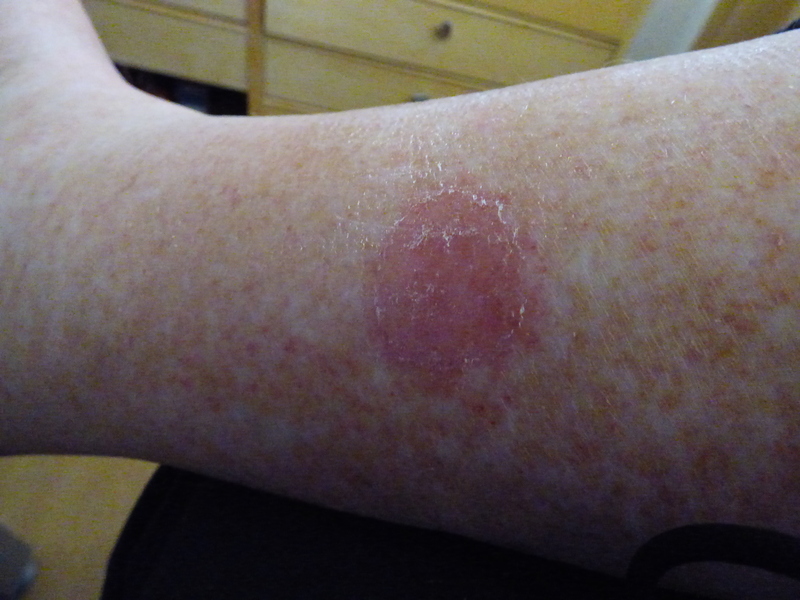 After two months mild itching returned and the eruptions were not progressing further. This time the patient was given a single dose of LM 01. The eruptions then continued to clear up. a month later, the patient had a prostate issue with a mild infection. In the repertorisation Sulphur was again indicated so the medicine was allowed to work uninterrupted. Despite increase in desire to urinate and mild aching in the prostate, no medicine was given. 2 weeks later, these symptoms cleared up by 80%. The patient is due for re evaluation soon t see if the same medicine is indicated or a change required. We must be careful not to interfere with the immune response from implementing a medicinal action. Too much medicine is far worse than too little especially in a weakened state. Better to wait than to initiate a problem. In this case it is obvious that there are things going on in the patients health that needed treating carefully and sparingly. Due attention to detail and not being in a hurry to over medicate is a must. Once the medicine is given, the immune response goes into action and it will do what imust and take as long as it needs. We help it along when no further progress is happening and not before. The largest study ever conducted by an official body on homeopathy concludes that homeopathy not only works, but is more economical than conventional medicine. The Swiss Government has a long history of neutrality and perhaps for this reason the reports of this Government on controversial issues should be taken more into account than other reports from countries that are more influenced by current economic and political circumstances. When it is known that two of the top five drug manufacturing companies are based in Switzerland, you might think that this country has a lot of interest in conventional medicine, but this assumption leads to error. At the end of 2011, a report was published by the Swiss Government on Homeopathic Medicine, representing the most complete assessment of Homeopathic Medicine published by a Government, and has recently appeared in English ( Homeopathy in Healthcare: Effectiveness, Appropriateness, Safety , Costs, Bornhoft and Matthiessen, Springer ). This report states that homeopathic treatment is effective and cost-effective and should be included within Switzerland’s national health program. The Swiss government’s investigations into homeopathy and complementary and alternative treatments respond to high demand and widespread use in Switzerland of conventional medicine, not only by consumers, but also by doctors. Approximately half the population of Switzerland uses complementary and alternative medicine treatments and values them. And in addition, about half of the Swiss doctors consider effective complementary and alternative treatments. Perhaps most importantly, 85% of the Swiss population prefer therapies of this type that are part of the national health program. Since 1998, the Government of Switzerland has decided to expand its national health system including certain complementary and alternative medicines, including homeopathic medicine, traditional Chinese medicine, herbal medicine, anthroposophic medicine and neural therapy. The reimbursement of the costs of these patients was an interim measure, while the Swiss government commissioned a study to determine whether they were effective and cost-effective. The provisional reimbursement for these alternative treatments ended in 2005, but as a result of this study, the national health program has again begun to reimburse homeopathic treatments and other alternative treatments. In fact, as a result of a national referendum, more than two-thirds of voters supported the inclusion of alternative and homeopathic medicines within the national health program (Dacey, 2009; Rist, Schwabl, 2009). The assessment of health technologies in homeopathic medicine is by far the largest report ever published by a government. Not only does this report carefully and comprehensively review the randomized, placebo-controlled clinical trials of homeopathic remedies, it has also evaluated its “real-world effectiveness” as well as safety and the relationship between Cost and effectiveness. The report also carries out a comprehensive review of preclinical investigations (physicochemical investigations, botanical studies, animal and in vitro studies with human cells). And there is more, this report evaluates systematic reviews and meta-analyzes, study results and epidemiological research. This comprehensive review carefully evaluates the studies carried out, both for the quality of its design and for its execution (what is called internal validity) and how it is brought into common homeopathic practice (external validity). The issue of external validity is of great importance because there are scientists and physicians who perform studies on homeopathy and have no knowledge of this type of medication (some studies show that certain homeopathic medicines are used very little for testing, whereas Others use medications that are not indicated for certain patients). When these studies showed that homeopathic medicine did not work, an accurate evaluation indicated that such studies had been designed to refute homeopathy … or simply, the study was an exploratory trial that sought to evaluate the results of a new treatment (exploratory tests of this nature Are not intended to prove or refute homeopathic medicines, but only to evaluate treatment for a person in a specific situation). After basic preclinical research and high-quality studies, the Swiss government’s report states that “high-potency” homeopathic medicines appear to induce regulatory effects (eg, balance or normalization of effects) and specific changes in cells And living organisms. The report also notes that 20 of the 22 systematic reviews of clinical research prove that homeopathic medicines mark a trend in favor of homeopathy “(Bornhöft, Wolf von Ammon, et al, 2006). The Swiss report found evidence supporting the homeopathic treatment of respiratory tract infections and respiratory allergies.The report cites 29 studies on “Upper respiratory tract infections and allergic reactions”, 24 of which offer a positive result in favor of homeopathy. In addition, six of the seven controlled studies comparing homeopathic treatment with conventional medical treatment showed that homeopathy is more effective than conventional medical interventions (the study found another homeopathic treatment equivalent to conventional medical treatment). All these results of the homeopathic treatment did not carry the common side effects in the conventional pharmacological treatment. When evaluating only randomized placebo-controlled trials, 12 of the 16 studies showed a positive result in favor of homeopathy. The authors of the Swiss government report acknowledge that part of the overall review of research includes negative reviews of homeopathic clinical research (Shang, et al, 2005). However, the authors noted that this review of the research has been widely criticized by both advocates and detractors of homeopathy. The report notes that the Shang team does not even adhere to the guidelines of QUORUM, which are widely recognized as standards for scientific information (Linde, Jonas, 2005). The Shang team initially evaluated 110 homeopathic clinical trials and then tried to compare them with 110 conventional medical trials. Shan and her team determined 22 high-quality homeopathic studies, against only 9 high-quality studies in the field of conventional medicine. Instead of comparing these high quality trials (which would have given a positive result for homeopathy), the Shang team set criteria that ignored most high quality homeopathic studies, thereby supporting their original hypothesis and Established prejudices around which homeopathic medicines are not effective (Lüdtke, Rutten, 2008). 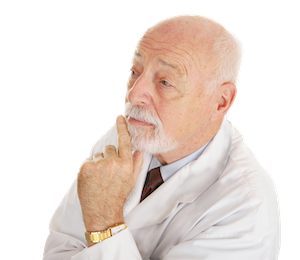 The Swiss report also notes that David Sackett, a Canadian physician who is considered as one of the pioneers in “evidence-based medicine”, has expressed deep concern to researchers and clinicians as it is considered that only double-blind clinical trials Are the means to determine whether a treatment is effective or not. To make this claim, it should be recognized that virtually all surgical procedures are unscientific or untested, because very few have been randomized to double-blind trials. In my opinion, for a treatment to be considered effective or scientifically proven, a much more thorough evaluation of what is usually done is required. Ultimately, the Swiss Government’s report on homeopathy represents an evaluation of homeopathy, including an assessment of double-blind randomized clinical trials, as well as other evidence, all of which together determine that homeopathic remedies are Effective. Original text appeared in The Huffington Post. Discovered at the end of the eighteenth century, thanks to the observations and experiments of Dr. Samuel Hahnemann, homeopathy is based on a biological reality, known by Hippocrates, the law of similarity: “Any substance capable of causing pathological symptoms in a healthy individual, Is capable, at infinitesimal doses, of treating those symptoms in a sick individual. ” Discovered at the end of the eighteenth century, thanks to the observations and experiments of Dr. Samuel Hahnemann, homeopathy is based on a biological reality, known by Hippocrates, the law of similarity: “Any substance capable of causing pathological symptoms in a healthy individual, Is capable, at infinitesimal doses, of treating those symptoms in a sick individual. ” This exact knowledge of the similarity between the drug and the disease justifies the specific goal of Homeopathy to individualize the patient and their treatment, using each person’s reaction capacities. Applying these principles, homeopathy uses organic substances, minerals and vegetables to stimulate the body’s immune defenses. In this way, the body can mobilize its own defenses, against pathogens, viruses and bacteria, and restore its balance, destabilized by the aggressions of modern life (stress, pollution, etc.). Homeopathy is based on two laws: the law of similarity or law of fellow beings and the law of infinitesimality. In homeopathy, and especially in chronic diseases, the goal is to go beyond the relief of the symptoms that are appearing, it seeks to help the patient to restore overall their natural balance. To this end, the homeopathic doctor in the consultation will take into account, in addition to the symptoms or health problems that the patient presents, their physical constitution and their way of reacting and sensations in front of the disease, besides factors of improvement or of worsening. That is why it is said that the treatment, in homeopathy, is more personalized.